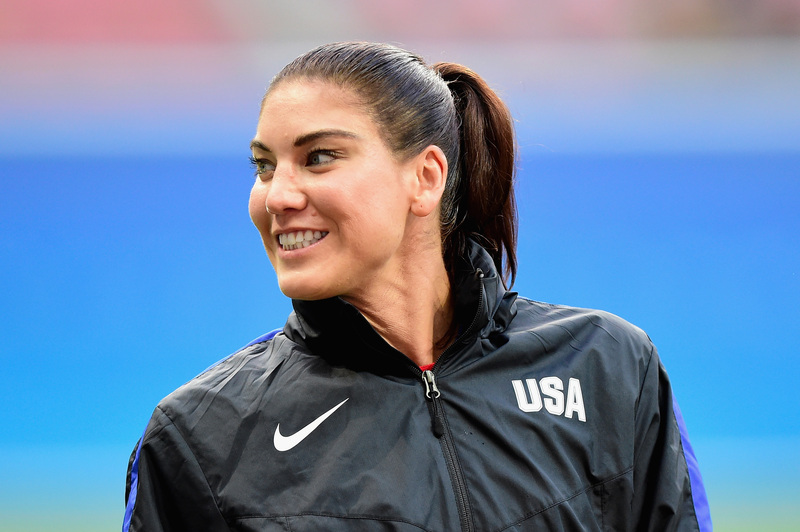 On Wednesday, goal keeper Hope Solo was suspended from the U.S. women's national soccer team for disparaging comments she made toward some of her Olympic opponents. It wasn't the first time that Solo had found herself in trouble with the governing body of soccer in the United States, but could it be the last? Her suspension will only last for six months, but there are some indications that Solo may not rejoin the national team even after her ban has been lifted. In announcing Solo's suspension late Wednesday, U.S. Soccer blamed some of Solo's post-game comments in Rio for the disciplinary action. After the Americans suffered an unprecedented loss against Sweden in the quarterfinals, Solo called the Swedish team "a bunch of cowards" for the way that they played. "The best team did not win today. I strongly, firmly believe that," she said. Not only was Solo suspended from the team for six months, but her contract was apparently terminated, as well. Solo tweeted a statement after the announcement of her suspension on Wednesday, in which she said she was "saddened" by U.S. Soccer's decision to terminate her contract. Although Solo can technically apply for reinstatement to the women's national team in February, her contract termination could be a symbolic message from U.S. Soccer that she won't be welcomed back. Much of Solo's career has been mired by controversy. She was suspended for 30 days back in 2015 for being in the passenger seat of a team vehicle when her husband was charged with driving under the influence. She has faced domestic violence charges of her own. She hasn't always gotten along with her teammates and coaches — and she's outspoken when there's a conflict. All in all, her missteps range from (almost) legally wrong to (definitely) unprofessional. If the 30-day suspension more than a year ago was a slap on the wrist, then U.S. Soccer's latest move against Solo is much more serious. Solo didn't even seem too optimistic herself in the statement she shared on Wednesday night. "My entire career, I have only wanted the best for this team, for the players, and for the women's game, and I will continue to pursue these causes with the same unrelenting passion with which I play the game," she wrote. She made no mention of her desire to return to the team as a player. Perhaps she'll pursue the causes that matter to her through a different avenue. During her suspension, Solo can still play with her National Women's Soccer League team, the Seattle Reign. The Reign have not publicly commented on Solo's suspension from the national team. Beyond the six-month suspension, though, her future with U.S. Soccer remains largely unclear but somewhat bleak.